Rick has been helping students for many years and has found a variety of assessment tools that has proven to give his clients clarity in finding their direction for selecting college majors and determining a future career strategy. The age group Rick considers students is those people ages 16 to 25. The Rockport Institute’s Pathfinder Aptitude and Career testing program is a 3 hour test you take one your own time. There are 13 innate skills to be covered, and this is a highly effective test in finding adeptness in your aptitudes and personality preferences. This is helpful in determining your selection for major studies in college. Rick finds this gives students increased self-confidence, motivation, clarity, and direction in school and in life. 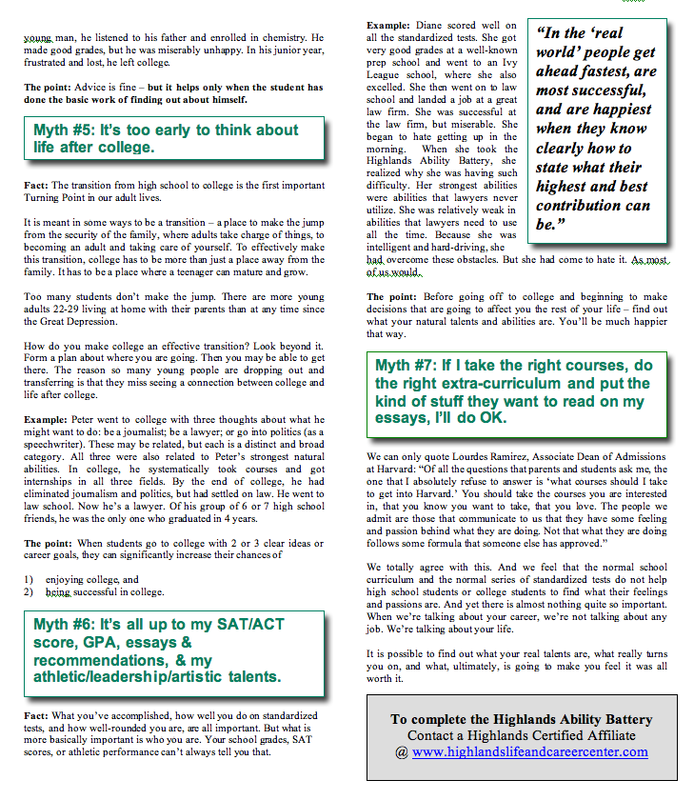 Rick finds this test important because it measures innate abilities for students looking for direction in correctly choosing a college major that best fits their talents and abilities. A high percentage of college graduates find they have picked the wrong major when they enter the work environment. This test will help students identify appropriate courses to take, majors to pursue, and best careers to consider. 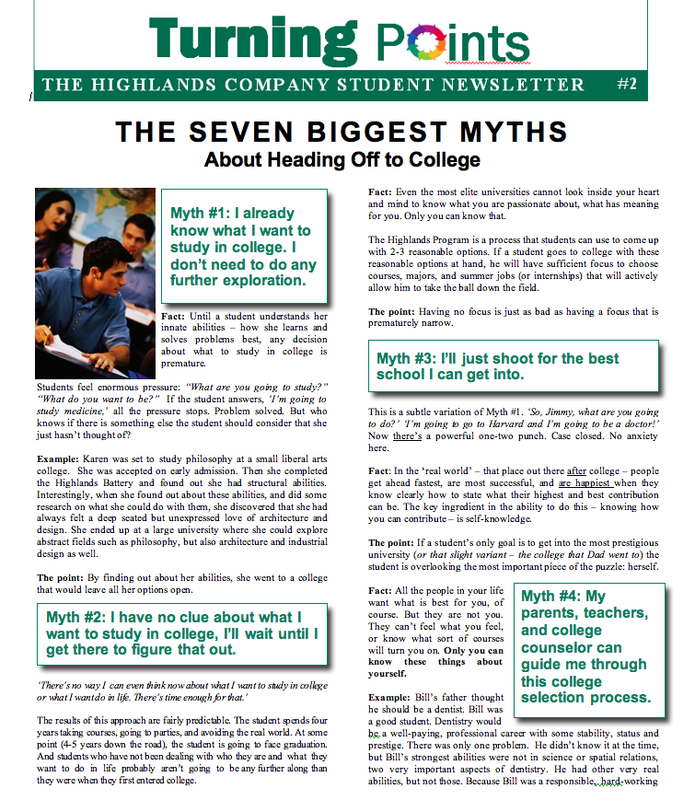 The Highlands Student Report is specially designed to address the student’s need in making important choices in study and career. 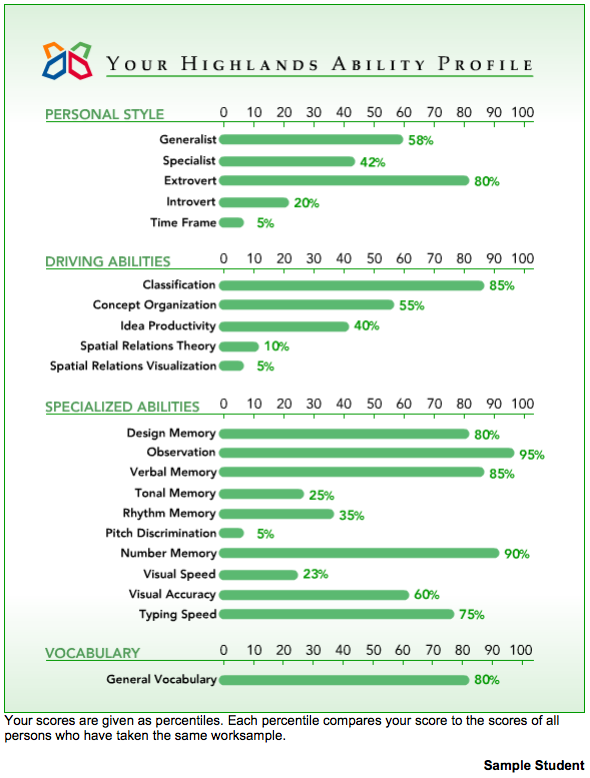 This report relates the student’s ability to perform particular innate skills. 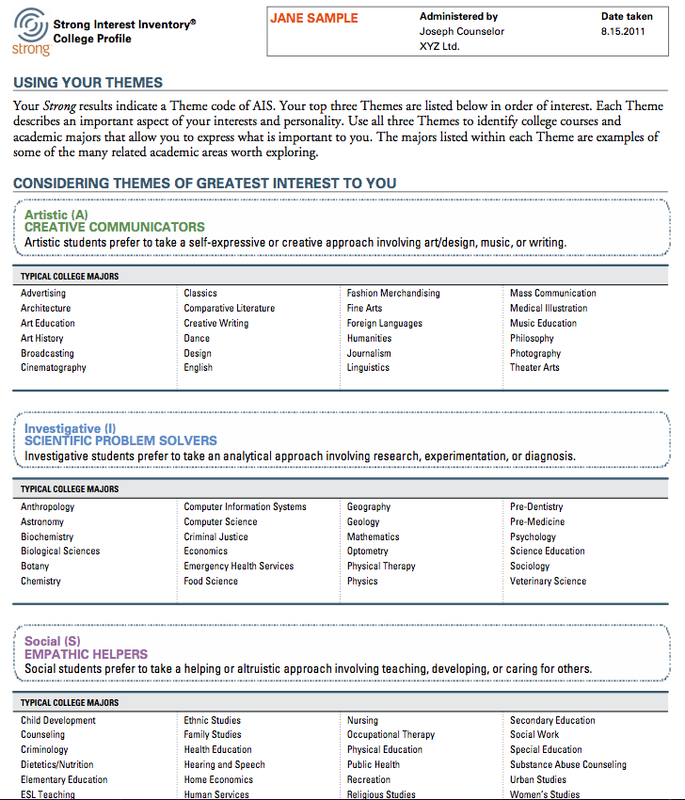 The student’s score measures innate aptitudes and the ease with which they can perform them. Because the test is timed, the student’s score will reflect whether the aptitude comes easily or not. A student who finds a particular task easy to perform, will be happiest and most productive in work requiring that task. A student who finds a particular task difficult, is still able to perform the task, but will likely be more satisfied using aptitudes that come naturally to them. When students know and understand their innate abilities, they are more likely to pursue studies and careers which will produce the greatest measure of satisfaction throughout their lives. 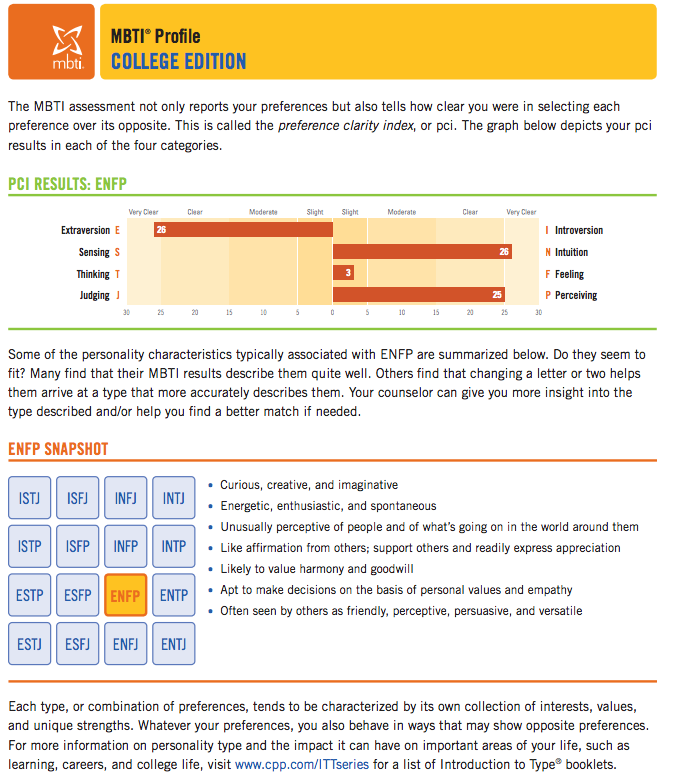 Rick likes to use this test to clarify your personality type. This is important because personality often lead to areas of highest preferences. Rick uses the Strong Interest Inventory for those students who need clarity and direction regarding their interests and possible college majors. Young people have a combination of inherited genetic tendencies that make them think and act in certain ways (nature). These thought patterns and actions are then modified by the young person’s socialization (nurture). By providing a clear picture of a student’s thinking and behavioral styles, the STEP functions as a tremendous tool for the young person and for his or her parents and teachers. Unlike any other profile or assessment process, this program provides self-understanding and valuable insights into how young people can enhance their own intelligence and make positive changes in their behavior patterns.